Beloved masters, your journey into density has been quite an adventure, and has spanned billions of years according to your timekeeping. We have explained how, as you moved deeper and deeper into the great void and the darkness of space, you assisted in filling that void with Light, substance, texture and shapes beyond your wildest imagination. And then, according to the Divine plan, you submerged yourself within each new reality you had helped fashion so that you could experience creation in its many magnificent, diverse forms. Thus began the manifestation of solid matter via pure thought brought forth from the Mind of the Supreme Creator, and later from the mind of the Father/Mother God of each universe, and eventually via your own thoughts as you moved further and further from the pure Source of all creation. After you came into your individualized consciousness, realizing that you were a Divine Spark of the Supreme Creator, the ALL THAT IS, you knew that you were predestined to journey forth into the great unmanifested void as an emissary of Light, for it was encoded deep within your immortal soul and your sacred heart core. You, along with all the other “awakened Sparks of consciousness,” were destined to experience all the wondrous diversity of creation for the Creator, our Father/Mother God, and all the great Beings of Light who remained in the rarified realms. We tell you this because we wish to impress upon you how ancient and complex you are. You came into this lifetime with a wealth of knowledge and a rich, complex lineage encoded within your DNA, your cellular structure, your mental and emotional bodies and your extensive chakra system of awareness. You often wonder why the members of a family are so different when, from a narrow point-of-view, they came from the same parents and lineage. The lineage of your earthly family in this lifetime is only a minuscule portion of your vast and priceless heritage. You have separated your consciousness or fragmented yourself millions of times in order to experience the great diversity of Creation, and you have also reunited with many of the multiple facets of yourself more times than you can count. Each time you did so, you added more complex information and unique experiences to your memory bank. The further you moved away from the perfection of the Supreme Creator, and the deeper you moved into multi-dimensionality, the denser and less perfect your creations became, for you had less pure Light substance to work with. Therefore, there is no blame and there should be no feelings of guilt and failure. It was a learning experience; however, it is now time for you to reclaim your self-mastery and the ability to create things of beauty and harmony in accordance with the original Divine plan. Now that you are aware that you have the power to tap into an unlimited supply of pure primal life substance and the Love/Light of purity and perfection, what are you waiting for? The rejection of your Divine birthright is a travesty, and your Higher Self will not relent in its nudgings to help you awaken and claim your royal heritage. We have explained how the spectrum of Light and shadow was created in this universe so that you could experience duality and polarity. In the higher dimensions, those closest to our Father/Mother God and the Great Central Sun, the duality spectrum is very narrow; however, it became broader and more pronounced as each dimension was established until it reached what was to be the maximum duality that was to be experienced. You are aware that it was not ordained or intended that humanity should sink so deeply into duality and polarity thereby causing so much pain and suffering. The time has arrived for the distortions and excesses of the past to be brought back into harmony, and it is our greatest desire to assist you to move through this process with ease and grace. Will you please heed our words: You are not judged and never have been by anyone or any Being from the unseen or higher realms; YOU ONLY JUDGE YOURSELVES! Under the universal laws of cause and effect, all your thoughts, intentions and deeds are stored within your auric field and your chakra system, and you radiate the vibrational patterns thereby created, which go forth from you in an infinity pattern and return to you in like frequencies and measure. In the past, it often took many lifetimes to reap the rewards for positive, loving actions, or to experience the penalties for negative or hurtful actions. Therefore, most often, it was not obvious that the “righteous” are indeed rewarded, and the “unrighteous” also receive their just rewards in kind. Again, no great or small Being is doling out rewards or punishment. The universal laws are firmly in place and your own Higher Self monitors your progress or lack thereof, either clearing the way ahead and blessing you with miracles large and small, or by placing more obstacles before you in hopes you will awaken and step onto the spiral of ascension. Beloveds, too many of you are carrying great burdens from the past, mistakes you have made in this lifetime, and also many from past conditioning and buried memories of painful events or actions from all your previous lifetimes. Holding onto these memories or carrying the “burdens of inequity” no longer serves you. It is time for you to allow us to help you heal the painful memories of the past, just as we are clearing the distortions of the third- and fourth-dimensional collective consciousness belief patterns and bringing those dimensions back into their originally designed spectrum of duality. As you descended into the restricted, limiting realms of consciousness, membranes of Light were placed around the multiple strands of your DNA, leaving only two accessible and active. Membranes of Light were also placed over your memory, as well as around the Light Packets of wisdom stored within your higher brain structure. A veil was put over your memory so that, most often, you could not remember your past lives, for it would be too much of a burden to remember all your past mistakes and imperfections. It was an act of mercy, for it has proven difficult enough for you to forgive yourselves for your errors and misjudgments in this lifetime, much less all your past aberrations. These restrictive membranes of Light are slowly dissolving as you return to balance and harmony and advance on the spiral of ascension and reunification. A membrane of Light was placed over the portal at the back of your Sacred Heart Center until it was time for you to begin your journey back into the higher dimensions and the realms of Light. However, you and you alone placed a membrane of protection over the front vortex of your Sacred Heart Center because you have been hurt, disappointed and disillusioned so often. Slowly, but surely, through the techniques we have given you, you have dissolved those restrictive membranes so that the Love/Light can flow freely to and from you in the way it was intended. In order to access and radiate the ever-increasing frequencies of Light, you must be able to integrate and permeate your Being with these advanced vibrational patterns, and you must be prepared to radiate them down into the core of the Earth and then project them out into the world-at-large via your Sacred Heart Center portal, from both the front and the back. Remember, we told you that when you first came to Earth, you were a shining crystalline Pillar of Light. Slowly as you sank into the density, you began to build a cross of matter that became more and more unwieldy as your spectrum of Light and shadow increased. Now you are loving those fragments you have created back into balance and harmony as you seek and tap into higher and higher frequencies of Light. You are in the process of become a cross of Light, beloveds, as your spinal chakra system becomes ignited and you radiate Love/Light from your Sacred Heart Center in front and behind you. We have repeatedly told you to ‘heal the past, script your future and then live in the moment,’ for this very moment is the Still Point or the power center of Creation Why not move into the center of that spiral, into the eye of duality and polarity where all is calm and peaceful, and filled with pure, rich, primal life force substance just waiting to be molded into your vision of the future? This very moment, as you move into your Sacred Heart Center, you can experience the profound love and compassion of our Father/Mother God and the Supreme Creator, and know that you are a treasured son/daughter on an important mission, and nothing you can say or do can diminish that love. REMEMBER, YOUR EMOTIONAL, MENTAL AND ETHERIC BODIES CAN BE HEALED AND TRANSFORMED BACK INTO WHOLENESS VIA THE GIFT OF FORGIVENESS. Stand in front of a mirror and gaze into your own eyes or go into your Pyramid of Light and lie on the crystal table. Say to yourself, “I forgive myself for any action, thought or deed, past, present or future, in this or any other reality, that has not been composed of the frequencies of Sacred Love. I forgive everyone I feel has treated me unjustly in this or any other lifetime and I return to them, wrapped in a bubble of love, all negative memories, impacted energies and probable futures that we have created together. 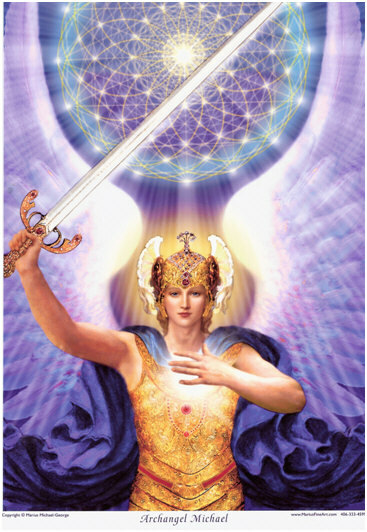 I ask the angels of forgiveness to permeate all facets of my Being with the frequencies of Love/Light so that I may become “Soul-focused and heart-centered” as a Bearer of Light and a self-master. Breathe deeply as you move into your Sacred Heart Center. Allow the pure Love/Light to pour down through you via your Higher Self. Feel the expansion in your heart center as this Divine elixir of love permeates the very depths of your Beingness. Sacred Love is what frees you from the shackles you have woven around yourselves, binding, restricting, entangling you in karmic interactions. When you deny this love, you are denying your heritage and your Divine birthright. Perform this exercise as often as necessary until you feel you have accepted the truth that you are worthy of forgiveness. Forgiveness of Self which facilitates a forgiveness of all others is an integral step in the process of opening the portal to your Sacred Heart center, and your heart portal must be open in order to successfully connect with your Twin Flame. You must be making a concerted effort to return to harmony and balance within your own Being in order to be ready to connect with your Divine counterpart. Your painful, unsatisfying earthly relationships are a result of inner feelings of unworthiness, guilt, fear of failure and rejection. The battle of the sexes is really an internal battle with Self, as you project your “needs, wants and desire” outward to someone else in hopes they can supply what is missing within. Your relationships will surely reflect to you the negative energies you need to overcome, as well as some of the positive attributes you desire for yourself. Either can be painful or fulfilling, depending on the way you wish to “play the game of relationships.” Negative-based physical relationships are fear-based, rigid, self-absorbed and limiting. 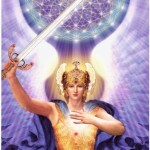 Sacred relationships are love-based and Spirit-inspired, and allow each party to integrate and express the positive attributes of their intrinsic masculine and feminine nature. They focus on wholeness and unity and yet are flexible and allow freedom of expression. As you lift your consciousness and return to harmony within, you radiate forth more refined frequency patterns and, therefore, you will attract to you those who are radiating and are comfortable with the same level of the Light spectrum. The reunification process entails rejoining multiple facets and levels of your soul family consisting of your earthly family, your solar, galactic and universal family and the many facets of “Self” including your Divine Twin Flame and then eventually, the wholeness of your I AM Presence. Beloveds, won’t you begin the process of forgiveness NOW, and make a concerted effort to open the portal of your Sacred Heart Center so that these wondrous gifts can be showered down upon you? Call on us and allow us to assist you. Remember, we are only a heartbeat and a thought away. We enfold you in sacred, unconditional love.